Symptoms are almost always present at home and may or may not be present in the community and at school. Children with Oppositional Defiant Disorder need to be assessed for the presence of Attention-Deficit/Hyperactivity Disorder and learning disorders, given the high co-morbidity. If Attention-Deficit/Hyperactivity Disorder is present, guanfacine or stimulants may be very useful in helping the youngster contain his behavior and reversing the vicious cycle the youngster and the mother or and father have gotten into. Parent guidance, as well as therapy for the youngster, is needed. Parent Management Training consists of procedures in which parents are trained to change their own behaviors and thereby alter their youngster's problem behavior in the home. Parent Management Training alters the pattern by encouraging the mother or father to pay attention to pro-social behavior and to use effective, brief, non-aversive punishments. Treatment is conducted primarily with parents. The therapist demonstrates specific procedures to modify parental interactions with their youngster. Parents are first trained to simply have periods of positive play interaction with their youngster. They then receive further training to identify the youngster's positive behaviors and to reinforce these behaviors. At that point, mothers and fathers are trained in the use of brief negative consequences for misbehavior. Treatment sessions provide parents with opportunities to practice and refine the techniques. Follow-up studies of operational Parent Management Training techniques in which mothers and fathers successfully modified their behavior showed continued improvements for years after the treatment was finished. Treatment effects have been stronger with younger kids, especially in those with less severe problems. Recent research suggests that less severe problems, rather than a younger patient age, is predictive of treatment success. Approximately 65% of families show significant clinical benefit from well-designed parent management programs. Regardless of the youngster's age, intervention early in the developing pattern of oppositional behavior is likely to be more effective than waiting for the youngster to grow out of it. These kids can benefit from group treatment. The process of modeling behaviors and reactions within group settings creates a real-life adaptation process. In younger kids, combined treatment in which mothers and fathers attend a Parent Management Training group while the kids go to a social skills group has consistently resulted in the best outcome. The efficacy of group treatment of teens with oppositional behaviors has been debated. Group therapy for teens with Oppositional Defiant Disorder is most beneficial when it is structured and focused on developing the skills of listening, empathy, and effective problem solving. If a youngster with a difficult temperament or Attention-Deficit/Hyperactivity Disorder grows up in a family with mothers and fathers that respond to the youngster's behavior with harsh, punitive, or inconsistent parenting, there is a high risk of the youngster will develop Oppositional Defiant Disorder. While moms and dads may have been adequate for a youngster with an easy temperament, faced with a youngster with a difficult temperament who often fails to do what he or she is told, perhaps due to Attention-Deficit/Hyperactivity Disorder, parents become angry, punitive, and inconsistent. The youngster, in response, becomes angry and oppositional. While problems initially appear at home, in time they may affect relationships with educators and peers. Problems with educators and peers lead to depression, anxiety, and additional problematic behavior. Children with Oppositional Defiant Disorder and poor social skills often do not recognize their role in peer conflicts, and they tend to not take responsibility for their own actions. Symptoms frequently remit, especially if the youngster receives treatment, including treatment for the underlying Attention-Deficit/Hyperactivity Disorder, and moms and dads receive parent guidance. 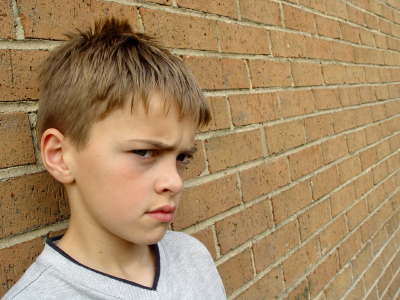 At times, Oppositional Defiant Disorder may give way to Conduct Disorder. Oppositional Defiant Disorder is most likely to arise when a strong-willed youngster with a reactive and high-energy temperament has a parent who is authoritarian rather than authoritative. An authoritarian parent who expects obedience will be frustrated with a youngster who does not listen as a result of being strong willed or having a high energy level. Children with Attention-Deficit/Hyperactivity Disorder are particularly vulnerable. The youngster will react to the excessive control of the parent by becoming angry and wanting to assert himself even more. The youngster will see the parent as inappropriately domineering and bossy, rather than helpful. The parent sees the youngster as unreasonable and disrespectful and is likely to try doubly hard to enforce her authority. A downward spiral occurs, with the parent trying to control the youngster and the youngster feeling he must refuse to give in and must defend his autonomy. Both parties become angry and increasingly rigid in their stances as they try to defend their self-esteem. The youngster's negative behaviors may be inadvertently rewarded by attention, which, even though may be negative, is still desired.